Receitas Vegan: Wrap de legumes e peito de "frango"
Este "peito de frango" faz parte de uma selecção de "carnes sem carne" do Talho Vegetariano. 1. Numa frigideira colocar o azeite, cebola, alhos e couve, passados 5 minutos colocar o "peito de frango". 2. Barrar o wrap com hummus e colocar o seu recheio de peito de "frango" e vegetais. 3. Enrrolar e aquecer no microondas por 10 segundos! 1. 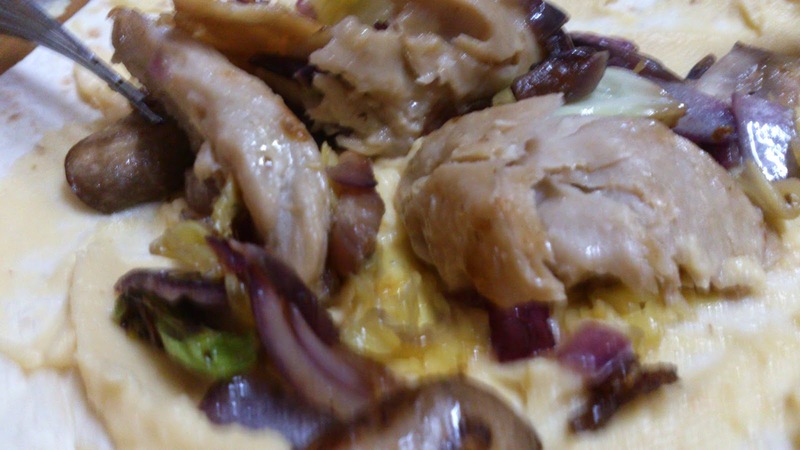 Put the olive oil in a frying pan with onion, garlic and cabbage, 5 minutes later put the "chicken breast". 2. 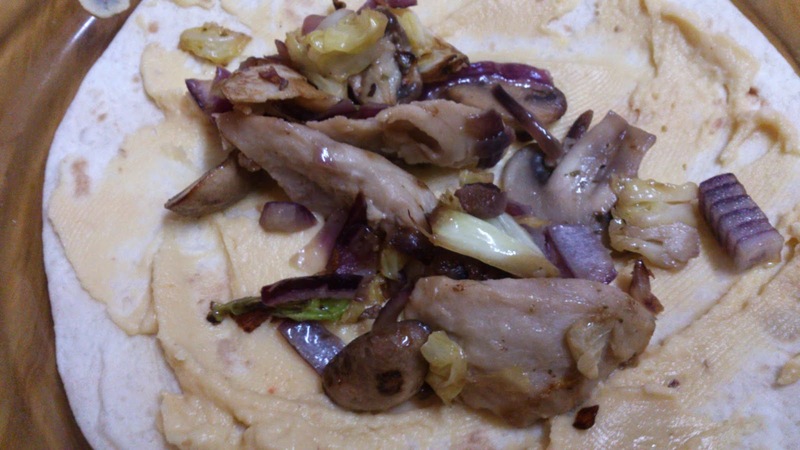 Spread the wrap with hummus and put your fillings in. 3. Close your wrap and heat it in the microwave for 10 seconds! 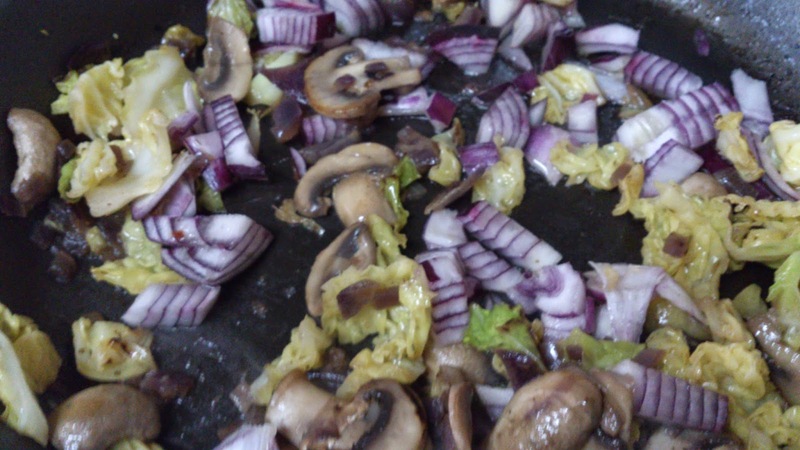 If you don´t know the "De Vegetarische Slager" you should! It is a simple way to get people interested in changing their diets to vegetarian or vegan! :D Here it is a link from their stores.